Rubber padding to avoid pressure on the achilles sinew. 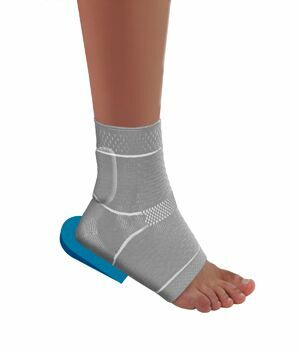 Extra heel cushion for other foot to prevent pelvic misalignment. Fits left and right arm foot.